Hello, Connie Nichol here today with shaker cards featuring the Big Balloon die from Quietfire Design. 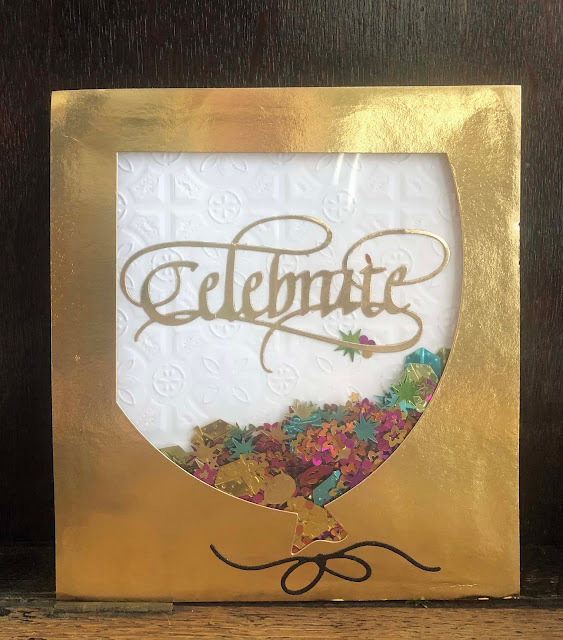 I had picked up a bunch of birthday confetti from my local dollar store, and that inspired these shaker cards. They are super simple to make. 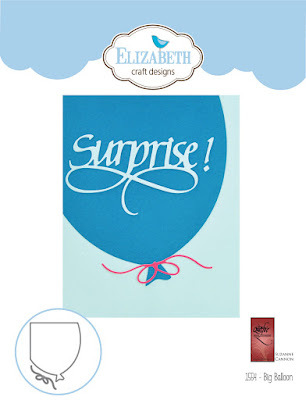 Just use the Big Balloon die to cut out the balloon on any kind of cardstock. 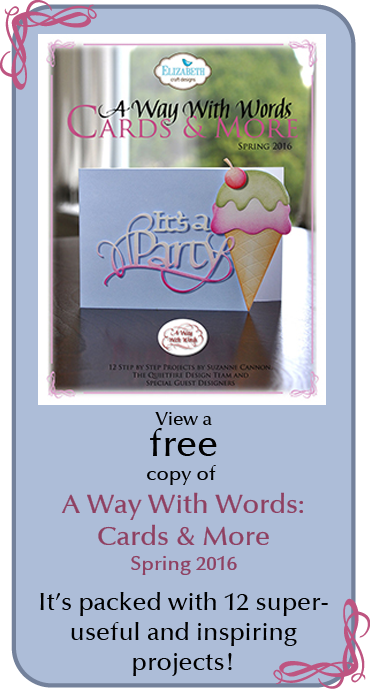 Dry emboss the cardstock if you wish. 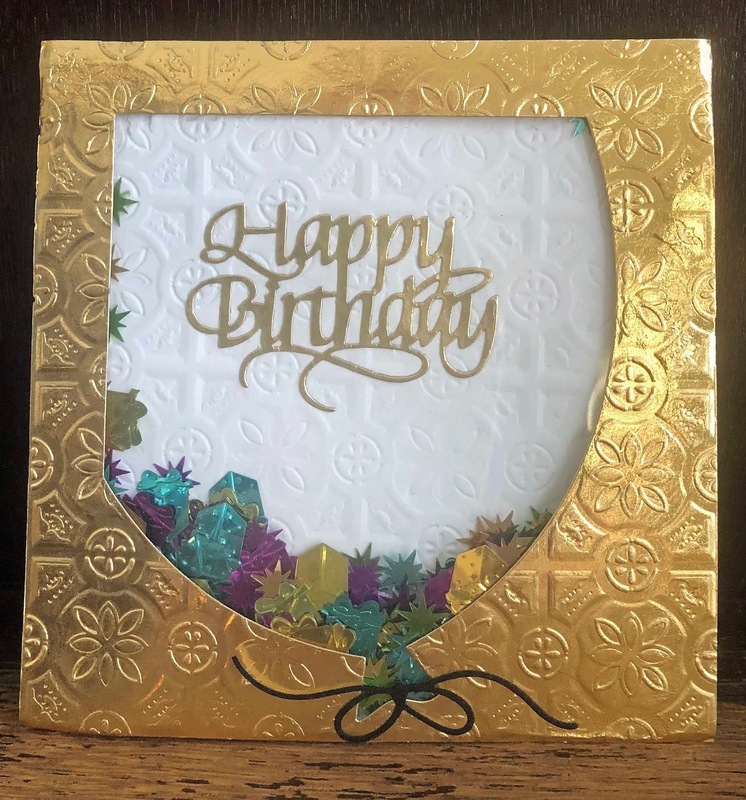 Glue a piece of acetate to the back of this die cut, then place dimensional foam tape all around the perimeter of the die cut piece. Add dollar store confetti, and then adhere the same sized back piece of cardstock to seal the shaker. Decorate the back piece as you wish before you stick it down - I added celebrate and small happy birthday die cut words, but you could also stamp a birthday sentiment. Wow, Connie! Great idea! These are awesome!